What is there to say about the Germans that hasn’t already been said? The world champions conquered the world last time out in Brazil because they were the best team, and their football is incisive, quick and deadly. The manner in which they dispatched hosts Brazil in the semi-final remains one of the most remarkable displays of ruthless football I have ever seen. Will they be at the sharp end of Euro 2016? 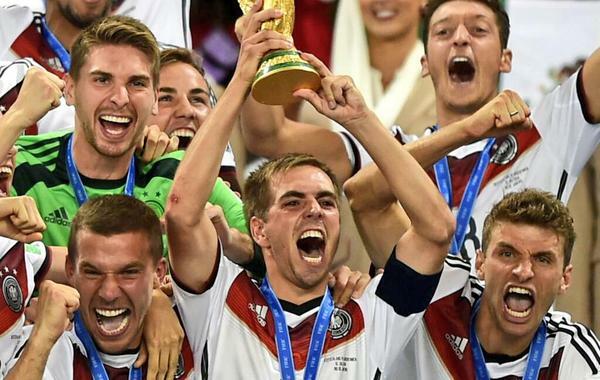 History would suggest it – Germany’s record in the past few major tournaments is impressive and consistent – World Cup finalists in 2002, semi-finalists in 2006, Euro 2008 finalists, World Cup semi-finalists in 2010 and Euro 2012 semi-finalists (and of course, World Cup winners in 2014), is a formidable record, so expect the Germans to be there or thereabouts this time as well. That being said, their qualification campaign for the Euros wasn’t quite as plain sailing as it might have been. Defeats to Poland and Republic of Ireland (and a draw at home to Republic of Ireland) meant they didn’t secure their place till late in the day – but ultimately it was never in doubt that Germany would make it. It’s hard to single out any one German player, given their cohesion as a team, but there are a few that could prove the difference between victory and defeat when the heat is on. Sami Khedira is a strong presence in Germany’s midfield, someone who can dictate the pace of the game, along with Toni Kroos, Thomas Muller, Mesut Ozil, Marco Reus and Lukas Podolski (it feels like I’m listing the entire team here). The collective experience of their midfield is frightening – those six players have 410 caps between them – and we need to add Andre Schurrle’s 50 to that. Podolski and Mario Gomez have scored nearly 150 goals between them. As you can see, singling out any one key player for Germany is hard. They’re my personal tip to win the competition. The strength that they have is astounding.